It’s not something you can define by personality tests or astrology. 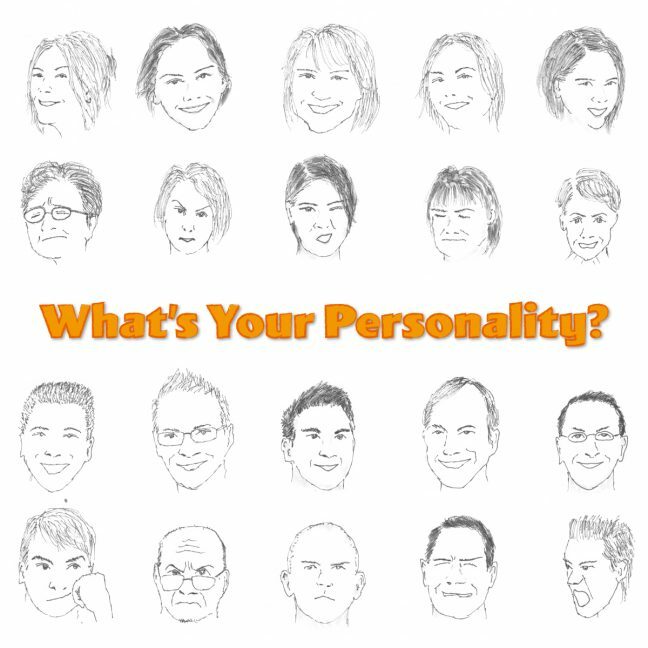 There are more than 7 billion people on this planet, and there is no way to categorize their personality into 12 types, or even 100 types. When you see people, especially yourself, don’t oversimplify. 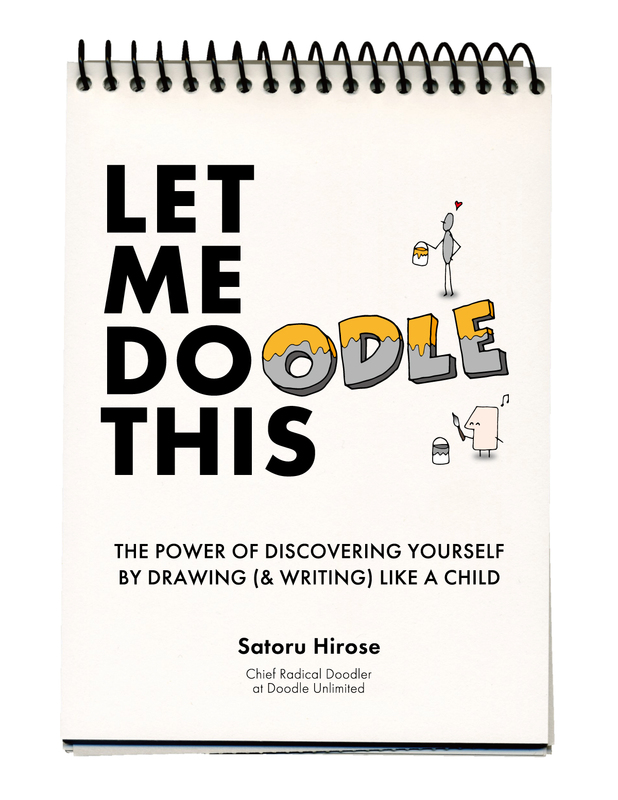 People (and you) are much more complicated—and therefore interesting and amazing—than you think. 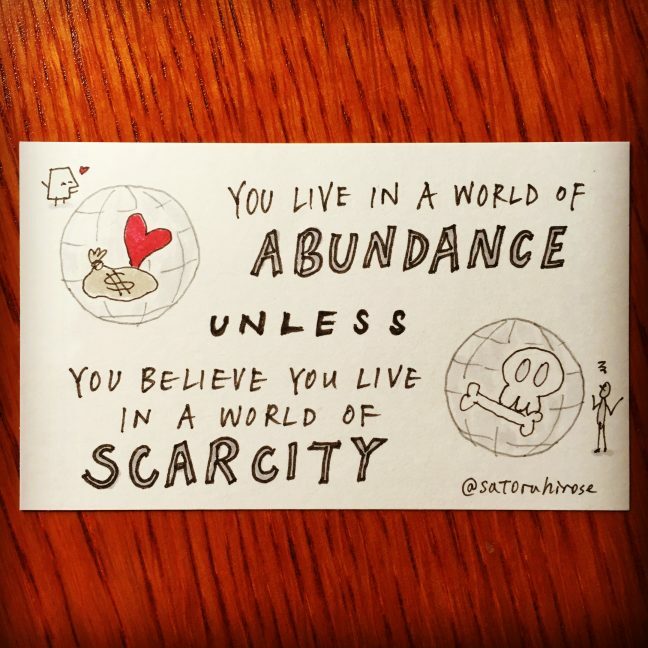 You live in a world of abundance unless you believe you live in a world of scarcity. No matter what you believe, you are right. The universe shows you what you think is true. 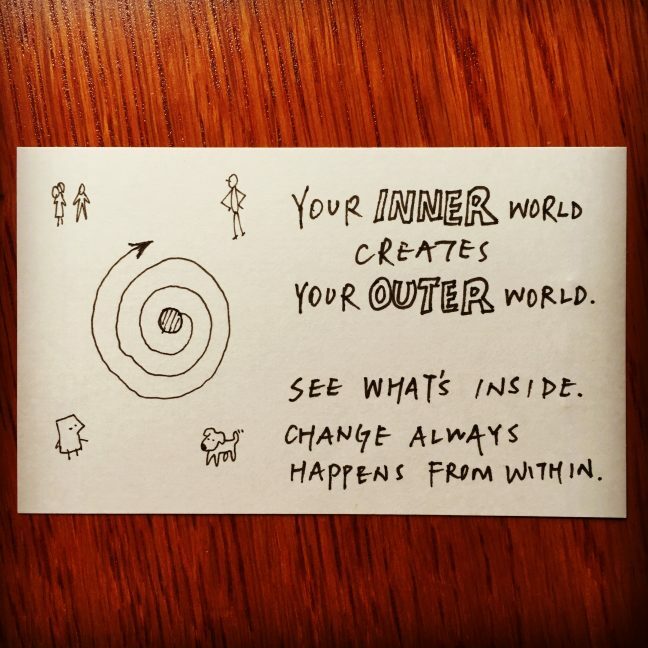 Your inner world creates your outer world. Change always happens from within. See what you’re made up of. Note to self… and anyone who needs this now. Learn from it and stop blaming yourself. Try again and keep working hard. 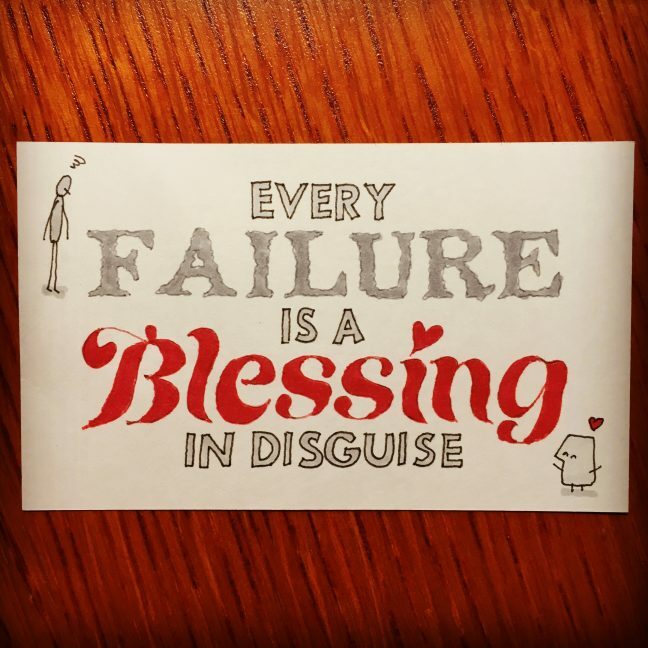 Someday you’ll find that what you thought was a failure was, in fact, a temporary defeat. 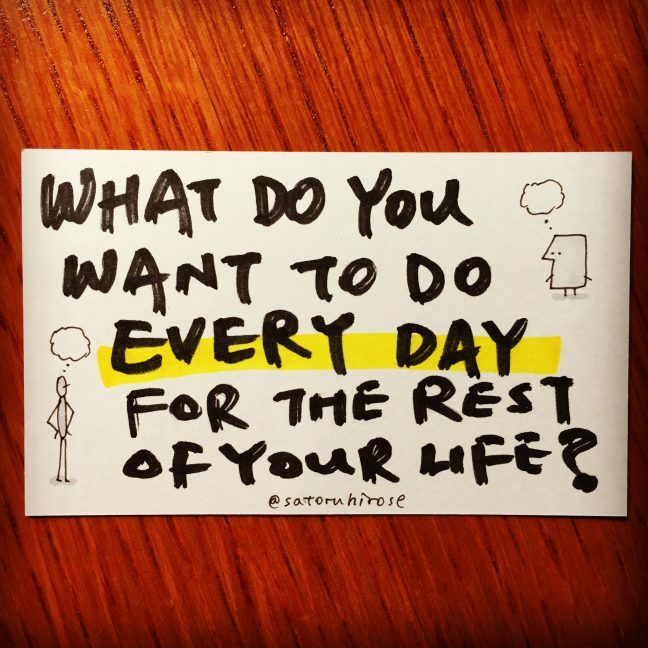 What do you want to do every day? This is the question I’ve been pondering, as I’m working on my life plan for next decade. If you are young—say in your teens or twenties—ask yourself this question, define what you want, and build your life around it. It’s not always easy to do so, but you have a plenty of time and energy to make it happen. Even if you are NOT so young—me included—don’t give up on it. Put together your wisdom and experience, create a plan, and start building a foundation of your dream life. Or your second life.